The number of adults involved in early-stage entrepreneurship in Portugal has grown in recent years, from a low of 4.4% in 2010 to 9.5% in 2015, following the implementation of the economic and financial adjustment programme in the country. This comes as austerity measures have driven unemployment levels to record highs, with many responding by turning to entrepreneurship. Despite this, the weakened economy has not resulted in an increase in necessity-motivated entrepreneurship (Portuguese adults are 1.5 times more likely to start a business out of opportunity than out of necessity). More than 63% of adults consider entrepreneurship as a good career choice, reflecting the rising impact that entrepreneurship is having among adults there. 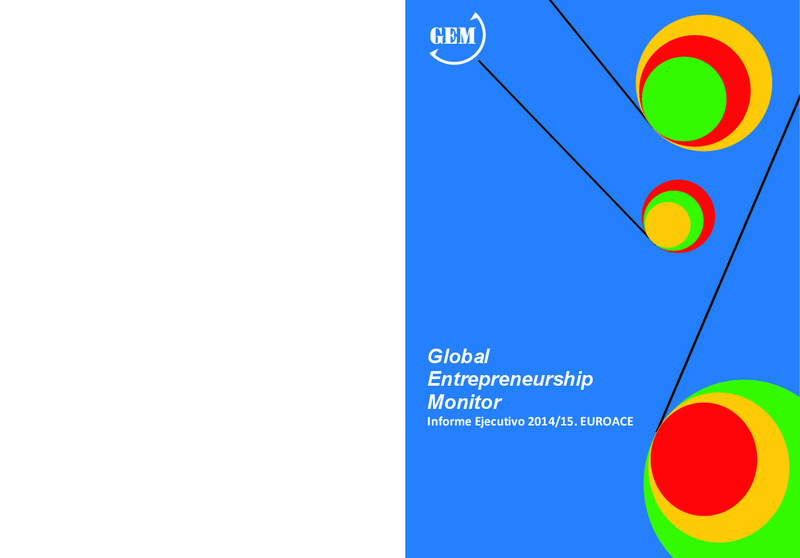 In addition, since 2004 GEM experts have increasingly reported consistent improvement in entrepreneurship framework conditions – including in social norms and education related to entrepreneurship. 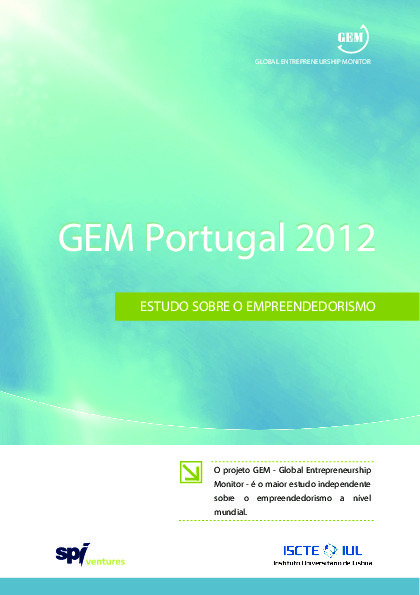 In terms of government policies on taxes and bureaucracy, Portugal is ranked by GEM experts second (behind only Switzerland) in 2015, first for entrepreneurial education and third for research and development (R&D) transfer. Significant efforts have been made to cut red tape, by making greater use of online platforms, among other things. In recent years, entrepreneurship has also become deeply ingrained in the vocabulary of Portuguese policy makers as a way of solving unemployment issues, promoting innovation and driving SME development. The Programme of Support for Entrepreneurship and Creation of Employment (PAECPE): Launched by the IEFP (Employment and Vocational Training Institute) in 2009, the programme allows young entrepreneurs to access credit lines granted by banking institutions, providing the full unemployment subsidy in one instalment and technical support in the creation and consolidation of entrepreneurial projects. Those up to the age of 35 years are eligible to benefit (as are those of any age who are unemployed and those who are self-employed and whose income has been below the national minimum wage) and can receive up to 200,000 euros per company through two credit lines: Microinvest and Invest+. Passport for Entrepreneurship (Passaporte para o Empreendedorismo): The initiative was launched in 2012 by IAPMEI (the Portuguese Agency for Competitiveness and Innovation). It is aimed at helping young entrepreneurs (up to the age of 34) to develop innovative entrepreneurial projects that are still at the concept phase, by providing technical and financial help. By the end of 2015, Passport for Entrepreneurship had received more than 3,500 applications, corresponding to more than 2,000 business ideas. The programme provides a monthly scholarship of nearly 700 euros for a period of between four to 12 months, and includes access to mentoring through the country’s National Network of Mentors (Rede Nacional de Mentores) as well as access to other technical assistance. The Youth Invest Programme (Programa Investe Jovem): The Youth Invest Programme, launched by IEFP in 2015, aims to help young entrepreneurs and innovators to create their own companies. The initiative provides financial and technical support to help in the development of new skills. It is available for young unemployed people from 18 to 30 years, with financial support covering up to a maximum of 75% of the total eligible investment in the new company. Ignition Programme: Launched in 2012 by the Portuguese government’s venture capital firm Portugal Ventures, the programme aims to invest 20 million euros a year in high-tech start-ups. The programme partners with a network of 48 organisations that include incubators and other business development providers. Projects selected can benefit from a capital investment of up to 750,000 euros, covering up to maximum of 85% of the total funding needs of each project. Up to June 2016, 15 calls for funding had been held. In all, 2,960 entrepreneurs took part in the first 14 calls, submitting 964 projects. As of the end of 2014 the initiative had invested 25 million euros in 43 start-ups (which had grown to 60 start-ups by May 2016). Start-Up Portugal: The initiative, launched in March 2016, aims to support and create a new entrepreneurial ecosystem in Portugal that attracts new national and foreign investors to co-fund startups, as well as promoting them in international markets. The programme will offer a start-up voucher which will provide university students who are completing their courses or that have recently graduated with a monthly subsidy to start their own businesses. The Momentum Programme will offer young graduates that have benefited from a social action grant incubation space and a monthly allowance. Between 2010 and 2012 the PAECPE programme gave out 7,940 grants totalling over 8.8 million euros and 4 423 loans totalling 10.5 million euros. Existing evaluations indicate that the programme has had some success in supporting the unemployed to create their own businesses. A European Commission evaluation noted that the design of PAECPE, in principle, allows significant success, particularly in relation to the mix of support measures: guaranteed loans plus conversion of unemployment subsidy plus training and counselling plus complementary subsidies. In another evaluation, 57% of the programme’s beneficiaries reported that if it wasn’t for the programme they would not have been able to start their own business, while the same evaluation also found that the survival rate of those assisted was about 90%. Between 2009 and 2013 the programme benefited 1 705 businesses that created 3,973 jobs. Each job created by the subsidies or loans is expected to have a direct cost between 2009 and 2020 of between three to five months of the unemployment subsidy that the government would have spent over the same period. However, the evaluation noted that the programme utilised just 57% of its budget between 2009 and the end of 2013, suggesting that it was difficult to find enough entrepreneurs to fund. It said that restricting the programme to only unemployed persons effectively limited the potential beneficiaries. In addition, the low interest rates offered by the programme might also have dissuaded banks from playing a bigger role in the programme. Despite some success, Portugal continues to experience one of the highest levels of youth unemployment in Europe – although this has fallen from a high of 40.7% in February 2013, to 29.9% in April 2016. In addition, between 2012 and 2013 the percentage of adults involved in early-stage entrepreneurial ventures experienced a bigger increase among those aged 35 to 44, than it did for those aged 18 to 24 or 25 to 34, according to GEM data. 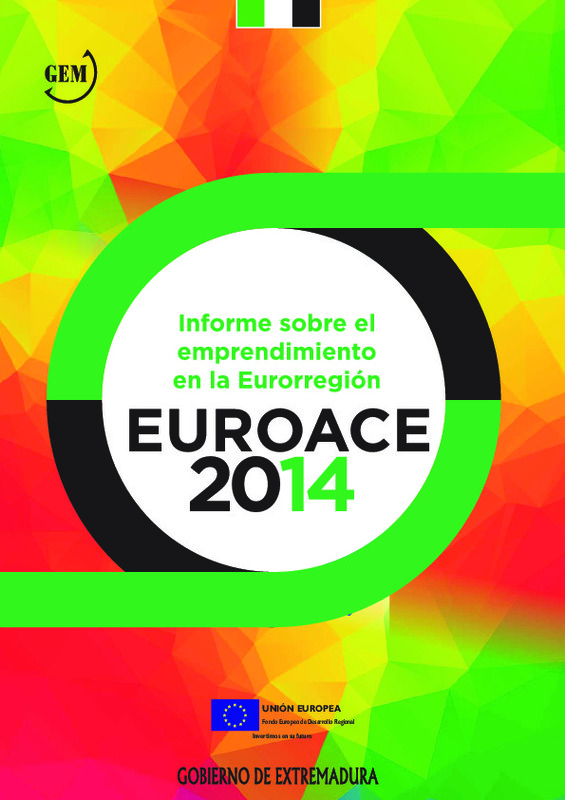 This report discusses entrepreneurship in the EUROACE region i.e. the three European regions of Alentejo, Centro and Extremadura, in the period June 2014 to February 2015. 7.6% of the population between 18 and 64 years old has been involved in entrepreneurial activities in the EUROACE region. The Portuguese region of Centro obtained the highest rate of entrepreneurial activity (TEA) with 7.8% of entrepreneurs, whereas Alentejo has 7.1% and the Spanish region of Extremadura 7.4%. A special report on the 'Euroace' region, composed of Alentejo (Portugal), Centro (Portugal) and Extremadura (Spain).